Sonotone 5719 Made in USA. This uses our green PCB board and each board is marked with an L for left and R for right. 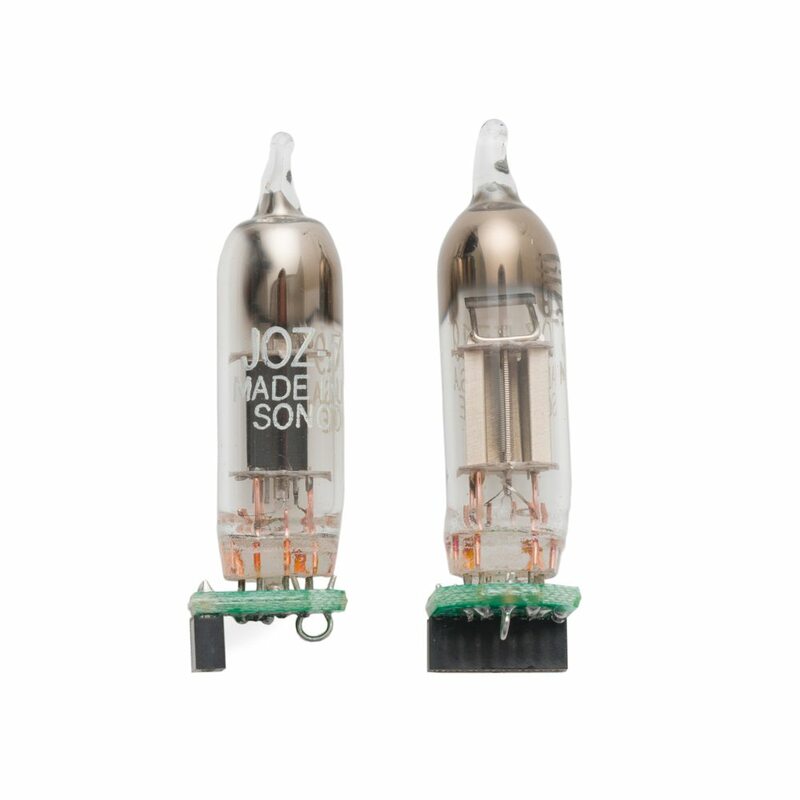 These single triodes will run cooler than the dual triode types and will have a longer battery play time, approximately 1 – 3 more hours vs the dual triodes.These tubes are NOS (new old stock) = new + unused.